For our third make cycle, we’ll be playing with expository writing. Too often in school, we give kids really boring (and quite frankly, not very useful) templates for writing “how-tos” or scripted essays. But expository writing can be informational and playful as I hope our mentor texts demonstrate in this make cycle. We will try out writing our own expository texts with options for creating video, infographics, books, or working with other ideas you may have. Week 5: Reading Chapters 2 & 3 from About the Authors and working with Appendix C & D.
Prompt: Similar to last week’s work with chapter 1, point to a couple of places in chapter 2 and the appendix C that you found interesting or puzzling or both? You don’t need to quote the whole passage or passages, but give us enough info so we know what you’re talking about. Why did that section or sentence interest you? Why does the idea matter as future teachers? Part I: What are some ideas you find interesting, confusing, or that you like from chapter 3? Point us to a couple of places in the chapter (either give us a page number or a quote or explain the idea you’re referencing from the chapter) and explain why you chose that idea. Use this prompt to explore ideas you might try out in your classroom or ideas that seem daunting that you would want to know more about. Part II: On page 176, the authors give us a list of mentor writers. Choose one of the writers from the list and do a little research: find the author’s books online (once you know their books, you can almost always find a youtube video of someone reading the book), look for their websites, and/or find interviews with the authors. What do you notice about this author’s writing that could make for interesting mentor writing for your future students? What might you highlight in the writing or use as a model? What features do you like from their work? Read the Mentor Texts: Are You a Dragonfly? Edward Gorey’s The Gashlycrumb Tinies and an article about this book, and look at the two infographics below. Prompt: What are some features of these texts that you notice? How might we use these texts as models for our own writing? What work did the authors have to do to create these texts? What work might you need to do to write your expository text? By Sunday, Oct 7: MAKE 3! Perhaps the story you wrote last week lends itself to being revised as an expository text? For example, you could use the Dragonfly book as a model and write a new book that has more information and facts about your story. You might also remember Josh’s “Mammoth” story from chapter 1, which is also a great model for an expository book. You could work off a story you wrote from last week OR write a new book about an idea or an animal or baking or whatever that uses the Dragonfly book as a model to work from. You most likely will have to do a bit of research to get your facts right. 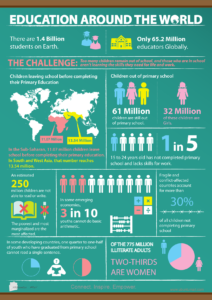 Create an Infographic about Chapters 2 or 3 of About the Authors using Piktochart. You can consider which quotes you would use, what images, etc? How might you create a visual summary of one or both of those chapters? 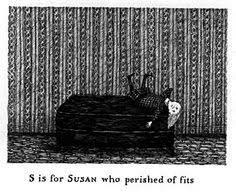 Use Gorey’s creepy ABC book model and create a less creepy (or just as creepy!) version of an ABC book. You’ll need a theme for your ABC book that connects the letters together. Or perhaps you summarize one of the About the Authors chapters as an ABC book? Finally, you could create an “instructables” video, walking us through how to do something. For example, I can bake a really good pie, so I could create a video that shows how. You would want to look through some examples from the Instructables website: https://www.instructables.com/teachers/ Then, you can create your own, upload to YouTube or Vimeo and share the link with us. Have another idea for an expository text? Email me. 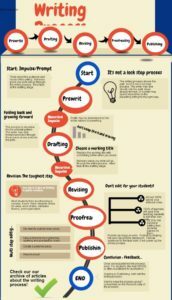 Remember, per usual, to tell us about your process: what worked, what was challenging, how did you go about creating your expository text?